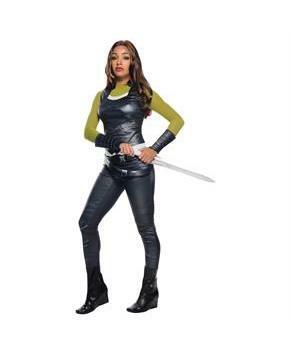 Be the toughest woman guarding the galaxy in this Gamora Adult Female Costume. Includes top, pants, guantlets and belt. Does not include shoes or wig. This is an officially licensed Guardians of the Galaxy costume. Are you planning to dress up like handsome Quill, tree creature Groot, wisecracking Rocket Racoon or Drax the Destroyer? Then you are definitely at the right place. There is a big threat to our galaxy and you must save it from evils so get ready now in Guardians of the Galaxy costume. Big missions, whole galaxy, big weapons and powerful spacecrafts create a perfect scene of Guardians of the Galaxy. Are you looking for a super popular costume for yourself? Women always look for colorful and innovative party dress. 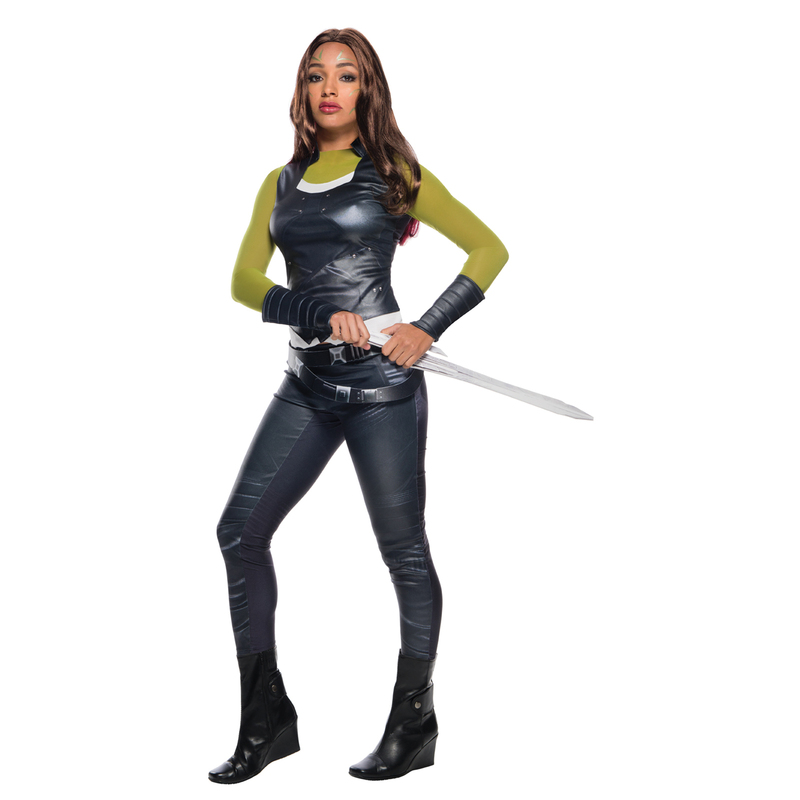 Show your creative mind with Gamora - Adult Female costume.